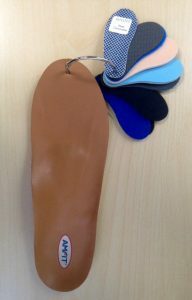 We have been providing custom made orthotics as a service to our practice members for over 17 years. Orthotics are considered foot stabilizers and cushions for your feet. They will provide a smoother “ride” while walking. Long term use may help improve flat feet by building up your arches. So, if you have flat feet or are suffering from continued foot, back, knee or spinal issues, consider custom made orthotics. 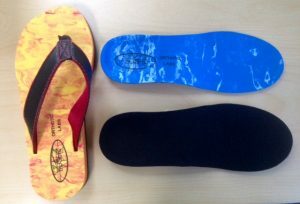 Q: What is the difference between the store “off the shelf” orthotics and custom orthotics? A: Store brand orthotics are typically designed to “fit” every foot. 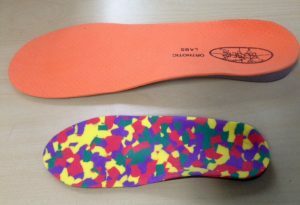 Custom fit Orthotics are molded to fit your foot specifically. Your feet are like your fingerprints. No one else in the world has them. Don’t settle for typical or general when it comes to your feet! The custom orthotics that I recommend to my practice members are a composite material that won’t break down like the glued leather orthotics of the past. If you are interested in custom made orthotics, the entire process takes less than 15 minutes and can be performed during your regularly scheduled visit. Please call our office today at 215.504.2711.